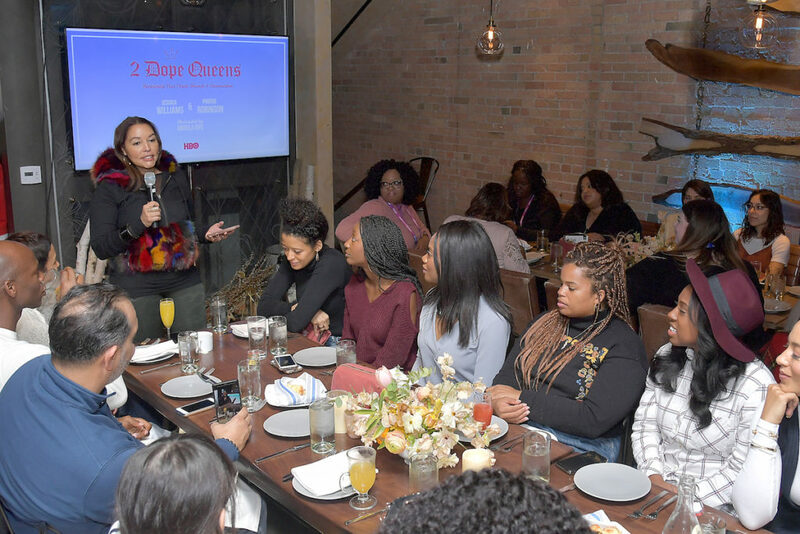 As guests Sundanced around Park City last weekend, a select group of media, industry peeps, and Sundance attendees popped into Tupelo restaurant on Main Street to kick off their Sunday with an empowering brunch – Dope Queens: Reclaiming Your Crown. 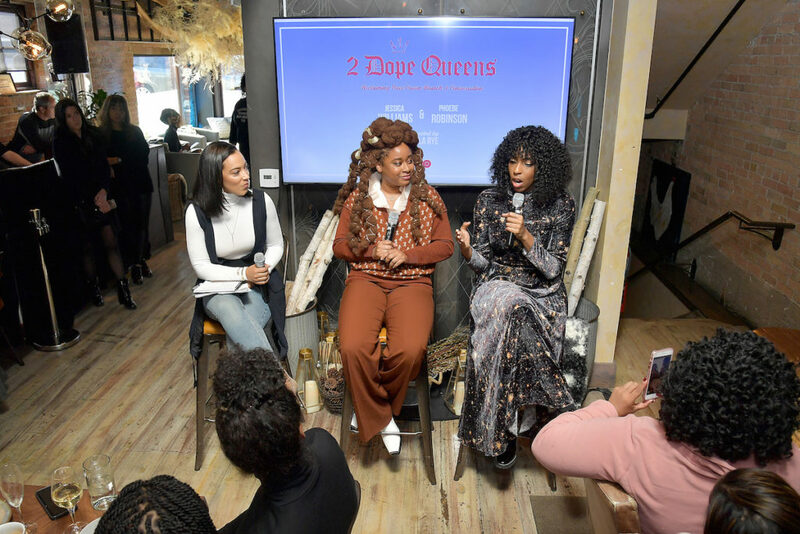 The intimate event, moderated by Angela Rye, celebrated the upcoming premiere of the second season of HBO’s 2 Dope Queens, and the show’s stars, Jessica Williams and Phoebe Robinson, were front and center to discuss being a dope queen in a male dominated industry. Before the convo began, we mixed, mingled, and networked upstairs, munching on croissants and pastries, and clinking mimosas and morning cocktails from an open bar (there also a coffee and tea bar on hand for anyone who needed a pick me up). 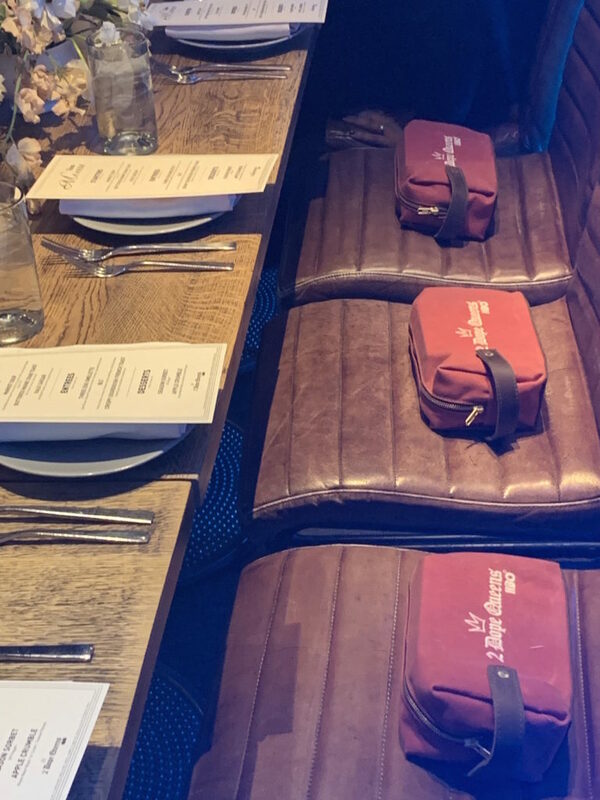 Post mingling, we headed down to the brunch and sat at long wooden, white flower-topped tables in the cozy restaurant, which gave us dreamy winter cabin vibes. 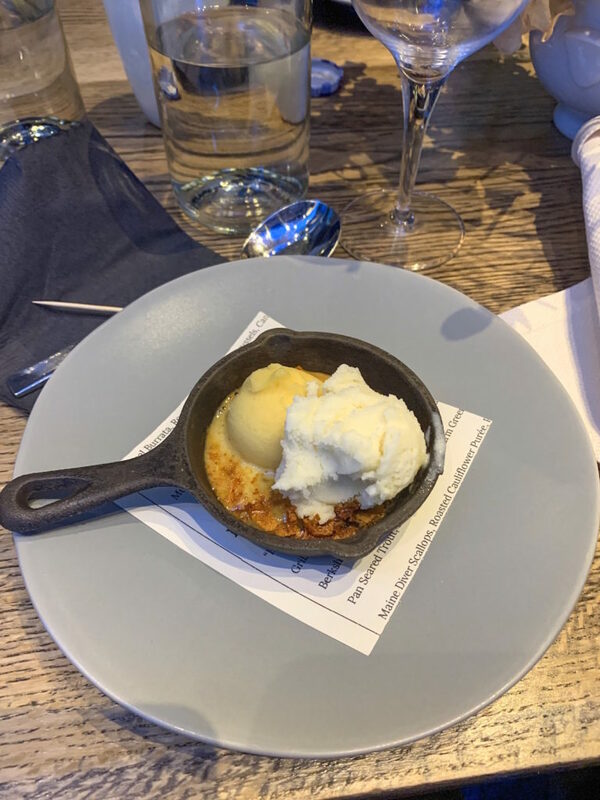 As we and other guests feasted on buttered maine crab toast, three egg omelettes, crispy sourdough french toast, and cast iron skillets filled with apple crumble and season sorbet for dessert, DJ Jasmine Solano pumped out some music, and the convo commenced. 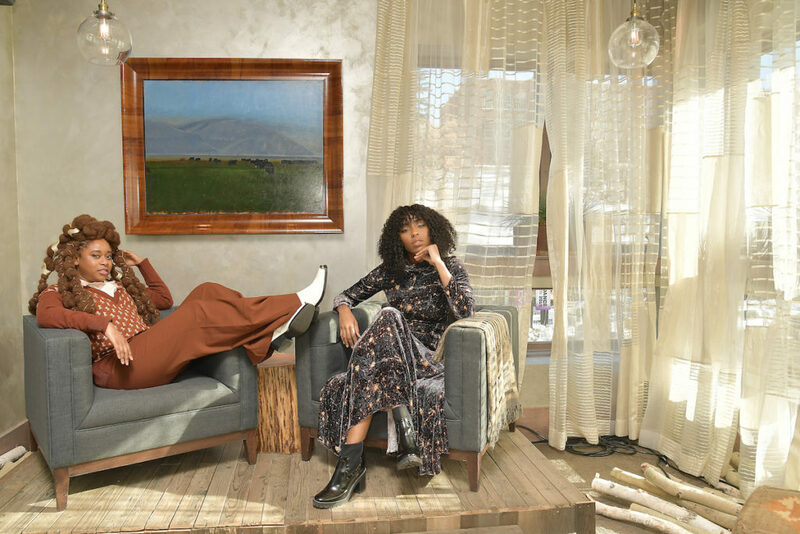 “One thing I like to do is make a playlist,” Phoebe Robinson began, as she talked about her writing process. “When I was trying to finish Everything’s Trash, But It’s Okay, I listened to a lot of Sade, Diana Ross, and Chaka Khan…empowering women. For me, I know there’s a lot of procrastination. It’s a huge thing in writing. It’s like ‘oh I’m stuck on this sentence. I don’t want to write this. I’ll just go organize my shoe closet.’ I don’t have a shoe closet, but the shoes in my closet,” she said with a laugh, adding that procrastination has actually been in an asset for her. 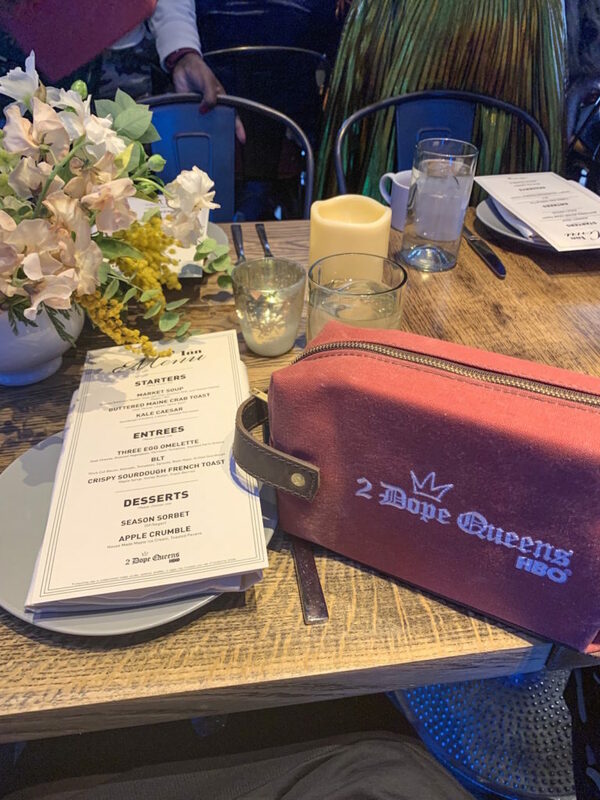 As brunch went on, there was even some beatboxing, with Williams and Robinson taking a quick moment to freestyle about HBO, 2 Dope Queens, and even throwing in a couple of jokes about Rye. After lots of laughs, the convo went on, with the trio talking politics, the power of the people to change things, and more. Post chat, guests left with a bag full of goodies including Bose noise-reducing earbuds, an eye mask, and a cocktail travel kit. 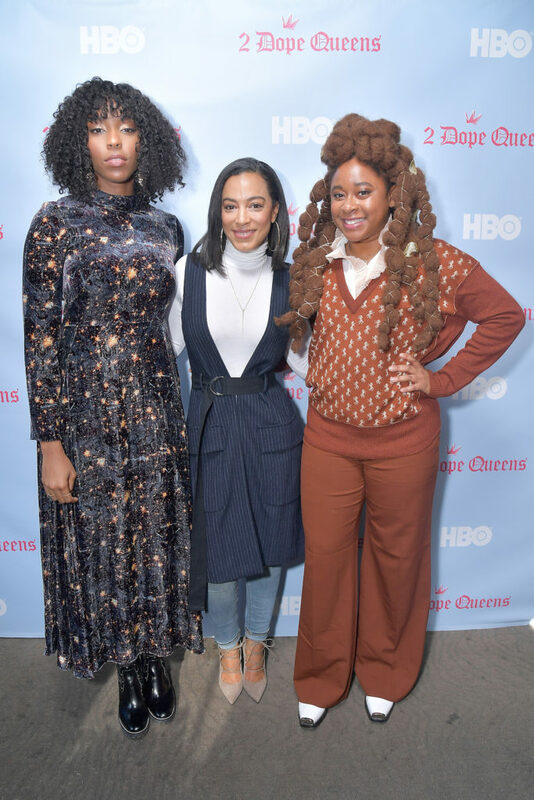 The second season of 2 Dope Queens premieres Friday on HBO at 11 p.m.